The Sony A6500 is a top of the class mirrorless camera, otherwise positioned at the mid-to-high-end range of cameras. It is aimed at professionals and enthusiasts who would like a lighter shooter appropriate for travel, while still retaining image quality and high performance of high-end cameras. 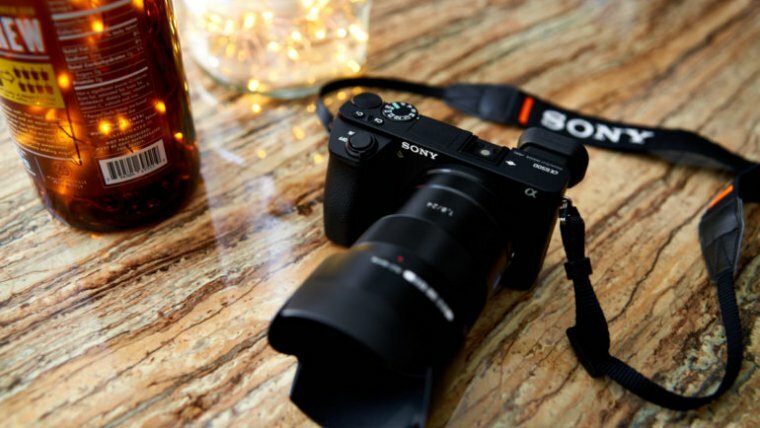 The A6500 is a successor and an upgrade to the award-winning Sony A6300. It features a last generation APS-C sensor, delivering 24MP stills and 4K video recording. 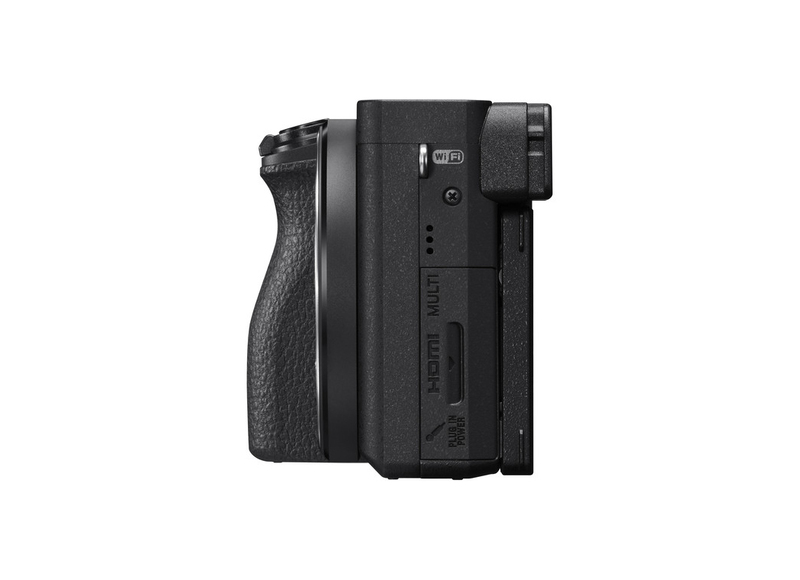 There is also the new LCD screen with touch-sensitivity and a new In-Body Image stabilization system. Compared to the A6300, it doesn’t offer many upgrades, but those that are present are worthy. Major differences are in image stabilization and touch-screen focusing, both of which we will be covering in detail down below. Mirrorless cameras are traditionally designed as lightweight, more compact alternatives to DSLRs, and the Sony Alpha 6500 is no exception. For example, the similarly positioned Canon 80D DSLR is heavier by more than 270 grams and considerably larger in size. The downside to this is, of course, a lesser grip and a limited amount of physical controls. It is important to note Sony did address these issues with the new camera, to a certain degree, but more on that below. The Sony A6500 features a high-quality weather-proof body (resistant to dust, moisture and splashes). Body material consists primarily of magnesium alloy, with high-density rubber present at appropriate places. It has a very similar design to that of A600 and A6300 that came before it, with a flattened top and almost identical control placement. Still, the A6500 does provide several notable upgrades; Deeper and more comfortable grip, new Custom button at the top, larger shutter release button and a touch-screen. Starting at the top, on the right side we have the mail dial for different shooting modes and a secondary dial for shuffling through options within a specific mode. 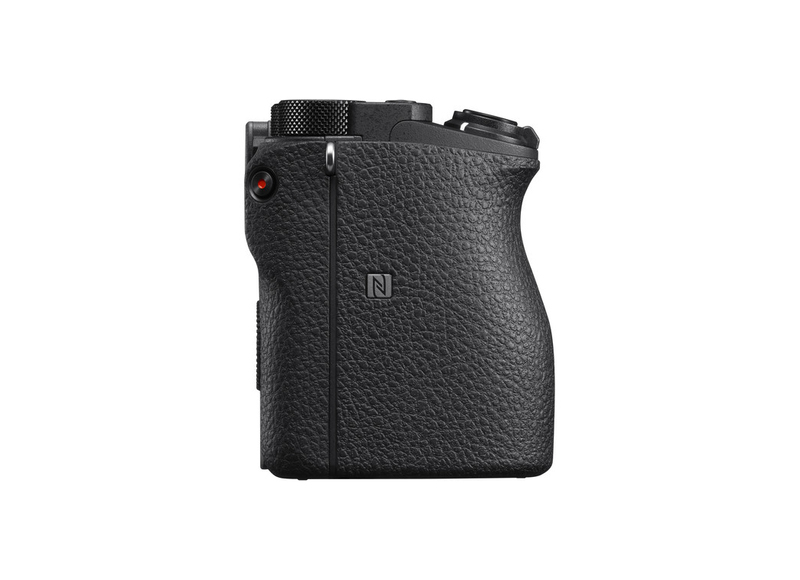 In-between the main dial and the shutter release button we gained an additional Custom button, so now there is C1 and C2 button for two distinct custom-set predefined shooting settings. Sitting in the middle you will find a standard pop-up flash and a port for connecting an external flash. Looking at rear controls, not much has changed. 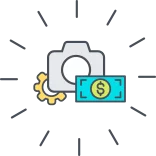 There are dedicated buttons for Flash and a Auto-Focus / Manual-Focus button. What remains are standard buttons for menu navigation. The Electronic Viewfinder (EVF) is the same one we've seen on the A6300, with 0.7 magnifications and 100% coverage. A minor difference is the rubber hood protecting the viewfinder from external light, which is now deeper. There is also a proximity sensor right next to the viewfinder, thanks to which the camera can now automatically switch between the viewfinder and the rear screen. While all the new additions to the camera layout are welcome upgrades, the real star of the show is of course the new LCD touch-screen. It might not all that you expect, though. The touch screen is primarily used as an extra help with focusing. There is touch-to-focus, or, drag-and-focus functionality. Basically, you can tap to focus on a subject and than proceed to drag your finger along the touch-screen for manual tracking of the subject. Sadly, once you use the touch to focus, the camera does not lock-on to the subject and track it automatically. That only works with continuous autofocus. Other than that, you can use the touch screen to double-tap to zoom and navigate around an image, but not much more than that. Also, we have noticed the touch screen responsiveness is not what is should be in a camera of this class – it's laggy, with an obvious delay between tapping the screen and the focus marker actually appearing on the screen. Hopefully this will get fixed in a firmware update. The touch-screen is also a tilt-screen, which means you will be able to rotate it around a horizontal axis. This is always a welcome feature, because it makes it easier to capture a desired composition at extreme angles, such as when shooting from ground level. However, it is not entirely flexible since it is only rotatable to a limited degree. The on-screen menu takes some getting used to if this is your first time with an A-series camera. The A6300 and previous models had a lot of settings crammed there and at times it was hard navigate to find what you are looking for. Fortunately, Sony has addressed this by rearranging some of the settings in a more intuitive way and also by adding colors to different tabs. Overall, the new many looks prettier and is easier to navigate. The only issue we have come across is the automatic reduction in screen brightness when in Movie mode. Excellent performance is what makes the A6500 suitable for sports and action photography. It scores very positively across all performance aspects – fast, accurate Auto Focus (AF), an impressive number of frames per second (FPS) as well as very capable image stabilization, both for stills and video. It offers an AF system with both contrast-detect and phase-detect AF points, and the latter amounts to 425 on-sensor phase detect points. This is the same setup we have seen on A6300, but nonetheless impressive, allowing for 0.05s AF speed. As for shooting speed, you will be able to go up to 11FPS and 8FPS if you are shooting in live view mode. This is also unchanged from the A6300. While this speed is impressive, the setup would not be complete (for action shooting) without a decent buffer capacity. This is what Sony has upgraded – you can now capture up to 300 JPG images (capped at 100 if you are shooting in JPG + RAW) in continuous shooting mode, or up to 30s without a stutter. The improved buffer depth is in thanks to the new front-end LSI chip. Image stabilization is where we would call this camera brilliant. Really, it will not be easy to find better a better IS system in the class. We are talking about an in-body integrated five-axis sensor-shift optical image stabilization. Sony claims five stops of stabilization, which may not be quite accurate – we have calculated between 2.5 and 4 stops, depending on the situation. But even that is quite impressive and it can mean a huge difference in practical use. For example, using the 85mm lens, we could capture crisp stills at 1/8s shutter speed with Steady Shot turned ON, which would otherwise require at least 1/125s. Using wider-angle lens, you could go down to 1/4s and still get crisp results even when viewed at 100% zoom. The same stabilization works it’s magic in the video too. We have found video recordings to be incredibly steady and smooth, without the annoying wobbling effect and micro stutters when shooting hand-held. It is important to note that while the A6300 relied on lenses for stabilization, itself had no stabilization. Sony’s decision to implement Sensor-Shift stabilization in the body of A6500 is very welcome since now we get stabilization even when using non-stabilized lens, which opens new opportunities. What’s more, although we didn’t have a chance to test this properly, when using lens with image stabilization in tandem with IBIS, you should get even better results. Overall, we are very happy with what Sony has done here, as it is a big step forward from the Sony A6300 which had no In-Body stabilization of any kind. The Sony A6500 packs the same battery we’ve seen across almost A-series cameras – the NP-FW50 Lithium Ion. Now, considering the added features it is to be expected battery life will drop. Per Sony’s own official specifications, you will be able to pull out 350 shots (310 if using the viewfinder) which is noticeably less than what we had with the A6300. Note that the IBIS and the touchscreen are especially prone to draining the battery, so using them both consistently will drop the total count even further. Still, we could record around 50 minutes of 4K video before it died off, which is not all that bad. Note that just like the previous models, the A6500 can be charged via USB, which is life-saver in situations where your camera will be sitting still, such as when recording time lapses or video from a single point. Just hook it up to a laptop or an external charger and you are good to go for a lot longer than you could normally. 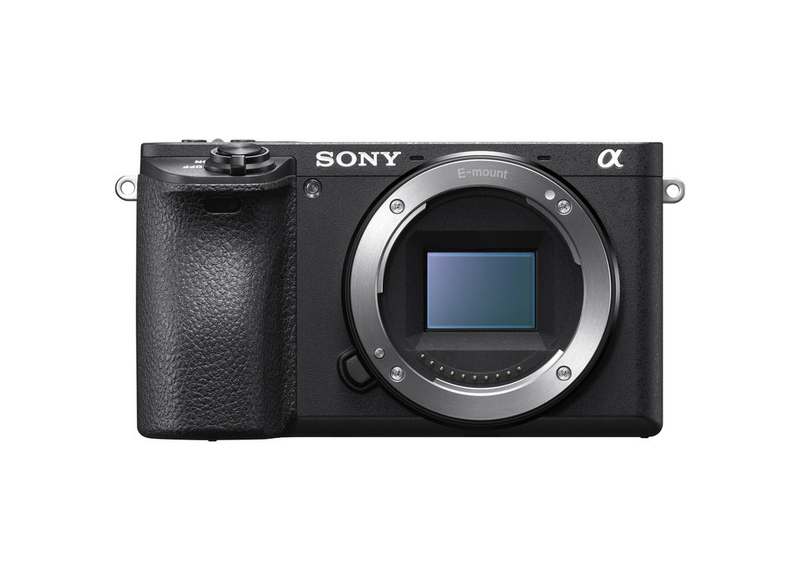 The sensor in A6500 is the same one Sony used in A6300, the 24MP APS-C. This sensor has proven itself as one of the best in class. 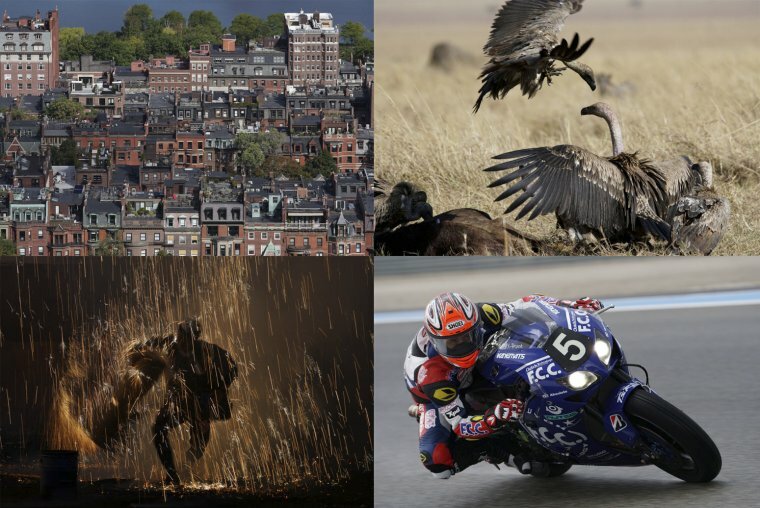 Coupled with the new processing algorithms from Sony, we are seeing exceptional results when it comes to image sharpness, amount of fine details and noise-handling. The new algorithms apply aggressive noise reduction but in a very smart way. The result is very low noise while all the fine details are retained. Comparing JPG sharpness and details to the likes of Canon’s 80D, Fujifilm’s XT-2 and Panasonic GH4, the Sony A6500 is way ahead of them all. How Sony has managed to pull this off seems like nothing less than magic to the naked eye. ISO handling is another example of the excellent performance of Sony’s Exmor sensor. Noise practically non-existent all the way up to ISO3200, and even manageable at higher ISO’s such as ISO2500. Color reproduction is generally okay but it doesn’t take a clear victory like it is the case with clarity and noise reduction. We have noticed washed out greens in the mid-tones, under saturated blues in shadows as well as overly reddish skin tone in real world samples. This sensor is so good that if you were only shooting in automatic and only using JPGs, you would get clear images with realistic colors almost every time. Really, with super sharp detail reproduction, solid color rendition, reliable autofocus and noise-handling so good that you can leave your ISO on Auto and not worry how high it will go, its next to impossible to get a photo that is not clear and sharp. If you are getting blurry photos, you are most likely doing something wrong. Raw files do not stand out as much from the crowd as the JGP’s do, but they are still very useful when you are trying to recover details from underexposed shadows or overexposed highlights. Thanks to the excellent dynamic range of this sensor, A6500’s Raw’s are very flexible. 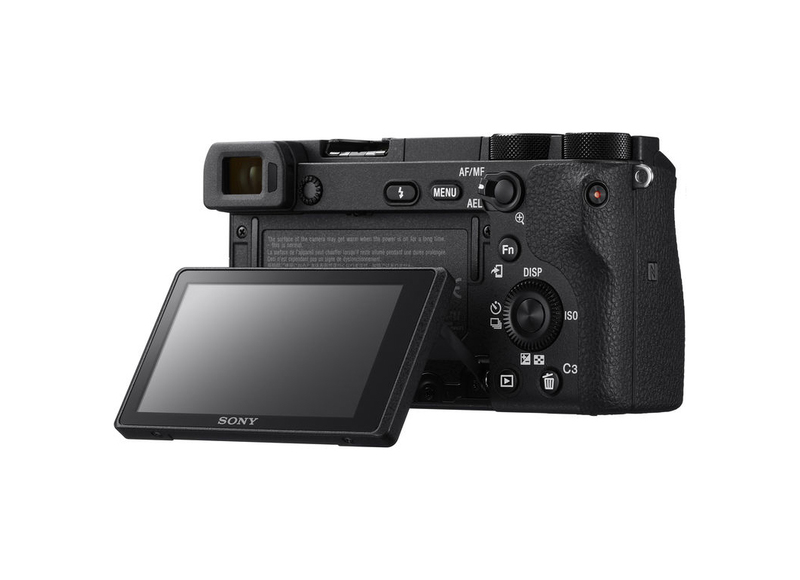 Sony A6500 supports XAVC S format which is the only format that offers 4K (3840×2160 resolution, 24p and 30p frame rates and up to 100mbps bitrate ) video. Other than that you can use AVCHD in 1080p with the following frame and bit rates: 24p, 30p and 60p at 50mbps, and 120p at up to 100mbps for slow motion videos. For smaller file sizes, you can use the MP4 format which is more compressed and a suitable option for social network sharing. Another option is using PAL mode, where instead of 120p/60p/30p we have 100p/50p/25p. Note that shooting in 120p has a few drawbacks. Neither Black Gamma option nor Center Lock-on autofocus mode are available at this frame rate. Image quality in videos very much depends on the selected resolution and framerate. The A6500 records highly detailed, sharp 4K video while videos shot in 1080p mode is hardly that impressive and didn’t really improve on the predecessor. One major issue that was present on the A6300 is overheating during video recording. We have no doubt that Sony has received many complaints from its users regarding this issue and so they have addressed it with the A6500, albeit in a weird way. See, with the A6300 would automatically force stop video recording once the camera reached a certain temperature. The same applies to A6500, except now in Movie mode you have an option prioritize video recording, forcing the camera to ignore the high temperature and continue with the recording (up to a point). We do not know if using this option would have any damaging effect to the camera in the long run, but the warranty is valid in either case. The overheating problem arises only when using the camera in hot weather, such as during hot summer days, or when the camera is in direct sunlight. Switching to 1080p video can greatly reduce overheating. How long can you actually keep recording in 4K varies greatly? Our tests showed maximum recording times ranging from 30 – 60 minutes, depending on the temperature outside and possibly other factors which are hard to pinpoint. As the mirrorless market grows with each passing quarter, it is cameras like the Sony A6500 that show us so many opt for a mirrorless camera instead of a traditional DSLR. The A6500 is truly a superb camera in many aspects; excellent image quality, impressive sensor stabilization (shake reduction), high build quality and lots of flexibility. However, it does have its shortcomings. The most prominent issue seems to be the tendency to overheat. With an impressive APS-C sized sensor, this small, relatively light and portable body is heavily crammed inside, so there isn’t much room for air circulation. We can now overwrite any automatic shut down due to heat, but for longer shooting periods we recommend using a tripod since the camera gets too hot for hand-holding. Other than that, both still image quality and video quality show very sharp and clear footage, with a solid dynamic range and efficient noise reduction algorithms. The addition of touch-screen LCD is highly appreciated, although its functionality and performance feels unfinished, something we hope to see fixed with firmware updates, if that’s possible. While the A6500 looks a lot like the A6300 and shares a lot of the same specs, nevertheless the upgrades that are here are very impressive and present a substantial incentive for potential buyers, whether they are upgrading from the A6300 or are new to the A series. The A6500 is Sony’s flagship APS-C camera, and judging by the amount and quality of high-tech features we can tell they are serious about it. Combining a large sensor in a body this small, together with Sensor-Shift stabilization and a touch-screen is an impressive feat, and while it has its share of issues it is certainly a capable camera. We can confidently recommend for any professional or enthusiast looking for a more compact high-end mirrorless camera with interchangeable lens. It is great for sports photography due to fast performance but also excels in video quality and stability.